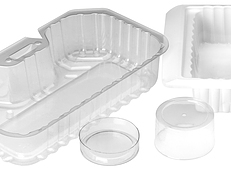 Thermoformed trays can be as simple as an opened, flat-bottom tray or designed and formed to specific shapes for containing individual items. 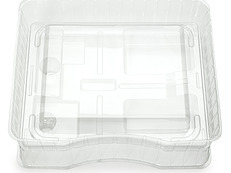 By definition a tray helps to contain or transport items and this applies to the industrial sector as well as to consumer goods. 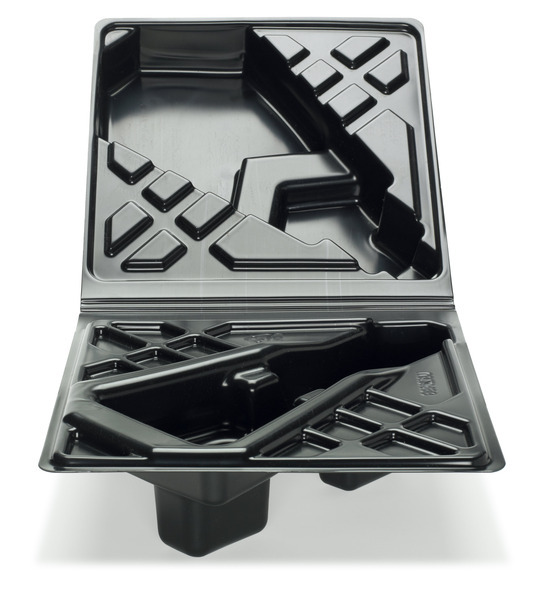 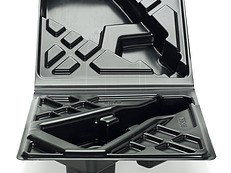 Using the black plastic thermoformed tray shown below, an industrial component is stored and transported through an assembly line. 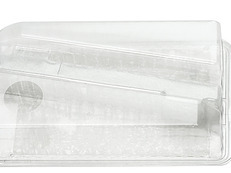 In another example, the product/component is protected, yet visible. 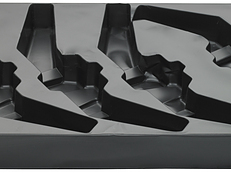 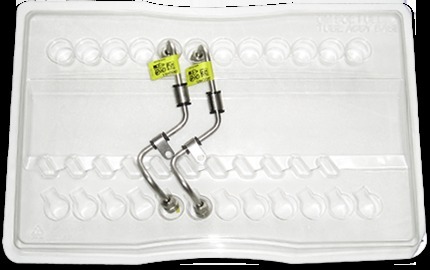 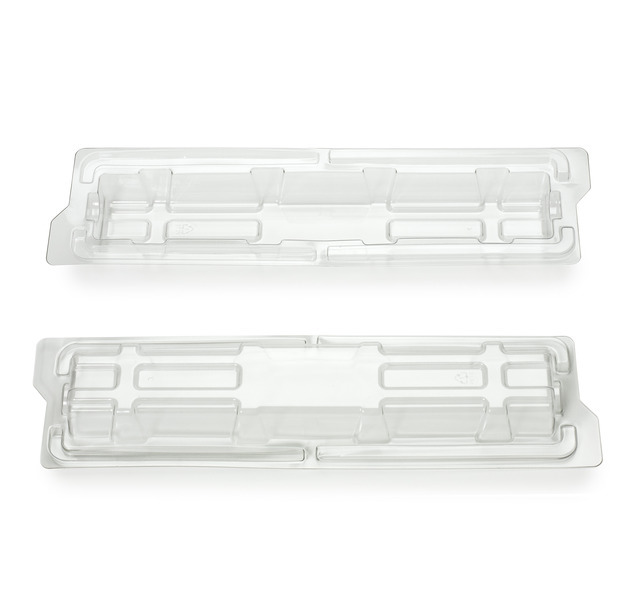 Other trays are designed to contain individual pieces that are part of a larger product and may be referred to as in-process trays, parts trays or dunnage trays. 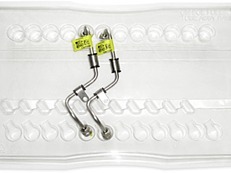 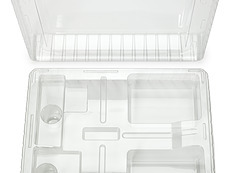 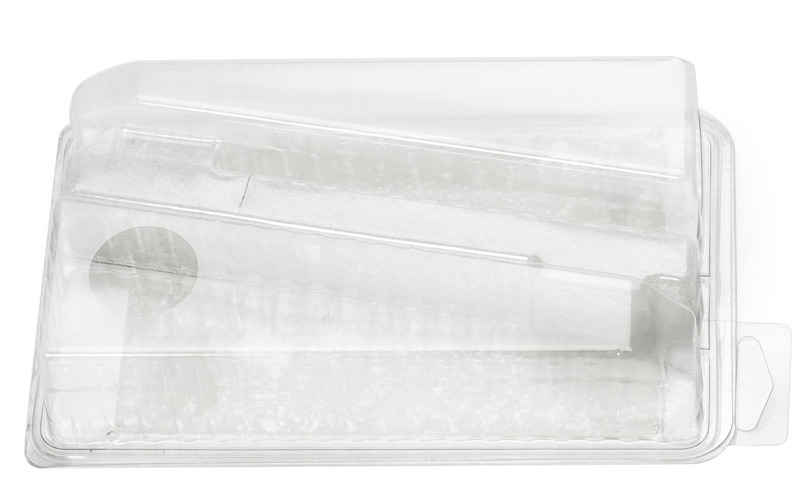 The filled tray slides into exterior packaging, protecting the parts inside. 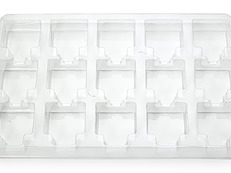 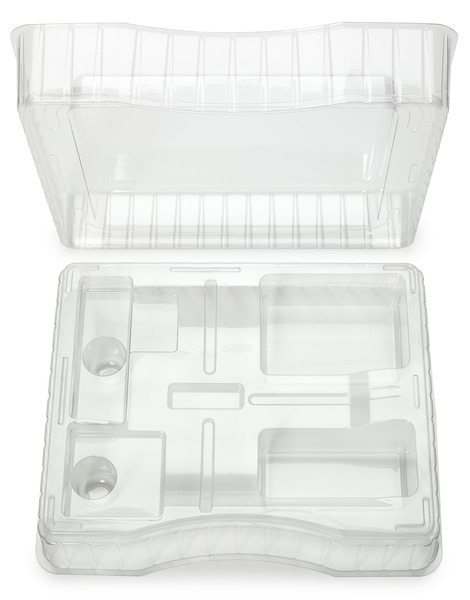 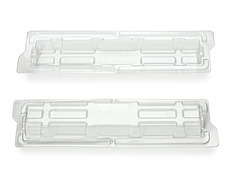 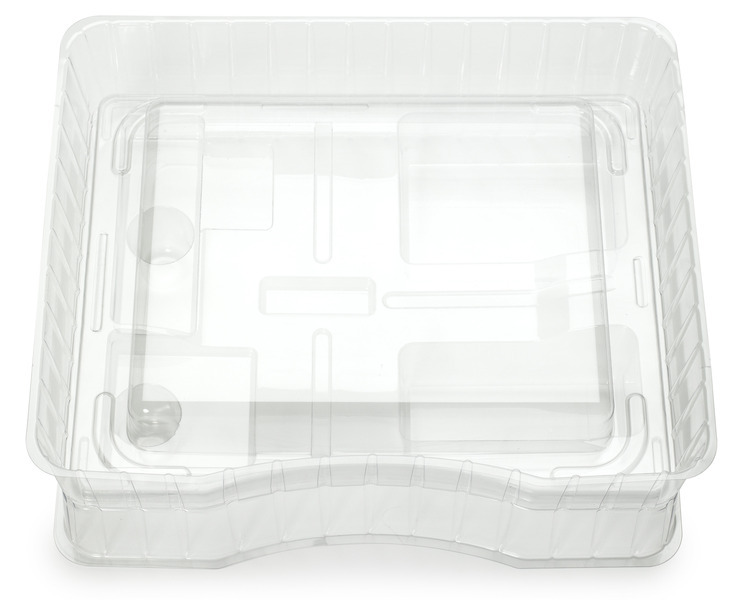 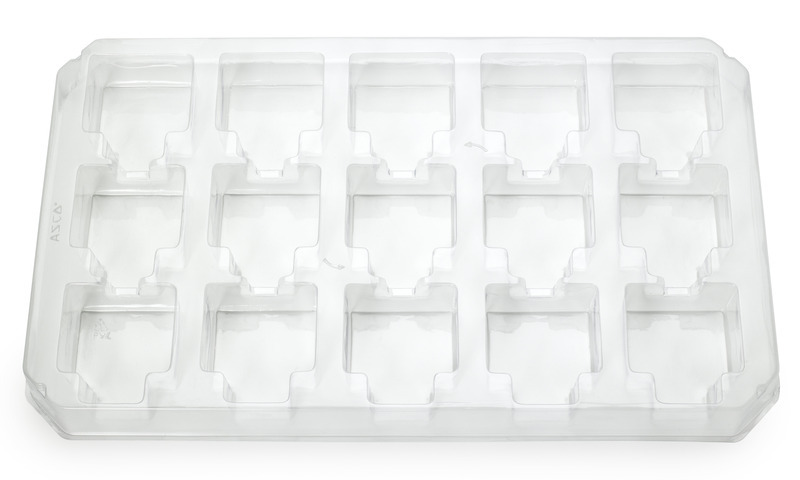 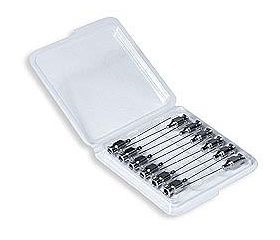 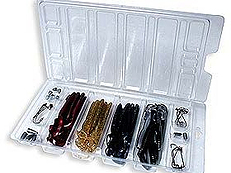 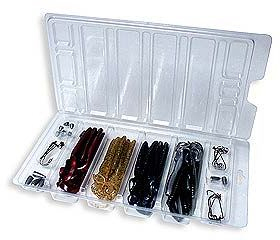 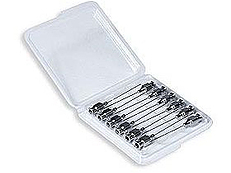 Combine a clear plastic tray of this type with a clear box and let your product speak for itself.